Owning an RV or motor home requires regular maintenance and even the occasional repair. 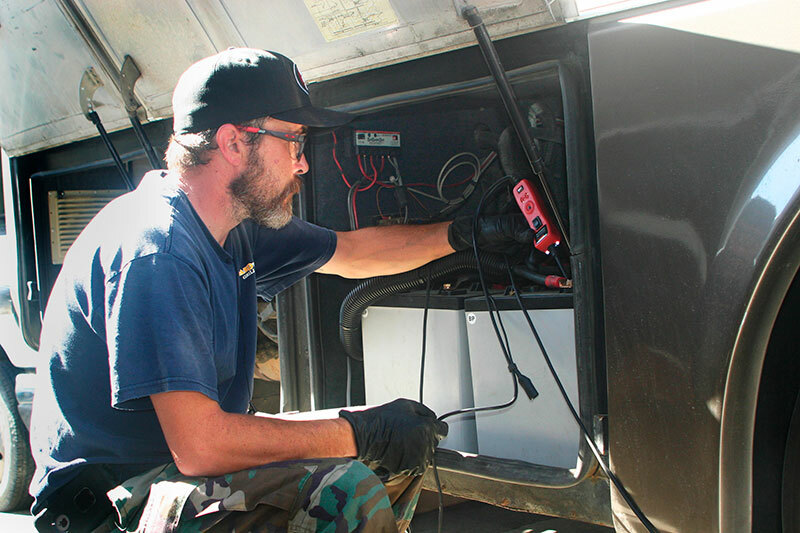 Your RV is not just a vehicle, it's your home away from home and keeping its systems well-maintained is crucial not only to your personal safety but also to your comfort. At Sturken Auto Body, Auto and RV Repairs, our certified technicians specialize in RV service and motor home repairs of all levels, including roof repairs; from regular maintenance to complex repairs. 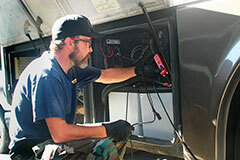 We repair: Motor homes- Class A, Class B or Class C, travel trailers, 5th wheels, van conversions and tent trailers. These recreational vehicles all contain systems, such as heating and cooling systems, sewage and gray water connections, generators, slide outs, refrigerators, awnings, batteries, electrical systems, and more, that are not part of a standard automobile. It's important to choose an experienced service and repair shop that can properly care for your RV and get you back on the road with confidence. Why come to Sturken Auto Body, Auto and RV Repairs? 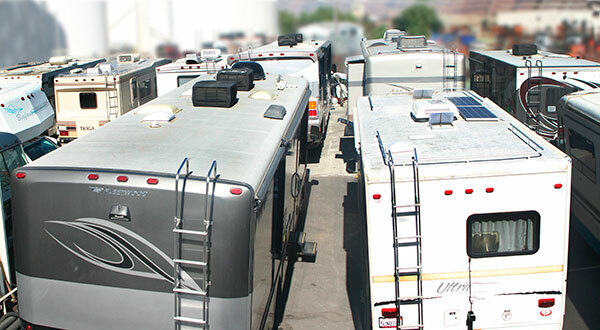 Our standards are higher than most other RV facilities. The standards developed with of our auto body beginnings, (repairing brand new vehicles for new car dealers) are higher than the normal industry standard. In most cases our repairs are of a higher quality than the factory originally designed. We do it that way because it is the right thing to do. There is nothing worse than to pay to have something repaired to only have it break again. Trust Sturken’s to repair your coach the right way. At Sturken Auto Body, Auto and RV Repairs, we ensure friendly customer service, fair and reasonable estimates, and high quality workmanship on all of our services. Plus, all of our high-quality services and repairs are backed with a warranty you can count on. RV owners in Los Gatos, Cupertino, Milpitas, San Jose, Santa Clara, Gilroy, Fremont, Pleasanton, Livermore, San Ramon, Dublin,Saratoga, Sunnyvale, Palo Alto, Woodside, San Mateo, Morgan Hill and the entire Bay Area trust us with their motor home services. Gear Box, R-Vision, Heartland, Milan, Trail-Lite, Komfort, Tiffen, Gulfstream, Bounder, Itasca, Hood River, Montana, Newmar, Thor, Allegro, Forest River, Raptor, Jayco, Weekend Warrior, Winnebago, Kit, Prevost, Coachman, Keystone, Carriage, Rage 'N, Cedar Creek, KZ, Sunnybrook, Outback, Rockwood, Toy Hauler, Ultra Light, Holiday Rambler, Sprinter, Prowler, Four Winds, Extreme, Heartland, Travel-Lite, Monaco, Coleman, Starcraft, MVP RV, Coachworks, Teton, Roadtrek, Pleasureway,and Fifth Wheels, Travel and Tent trailers of all types.